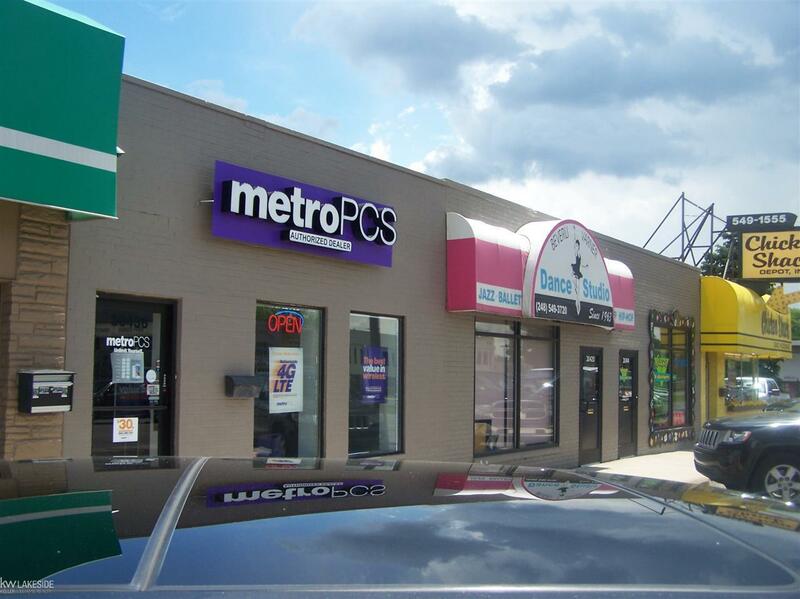 TURN KEY GREAT INVESTMENT OPPORTUNITY WITH PRIME EXPOSURE RIGHT OFF WOODWARD JUST S. OF 13 MILE.BOTH BUILDINGS HAVE LEASES IN PLACE 100% OCCUPIED. ADDITIONAL PARKING AT REAR OF BUILDING. HEAVY TRAFFIC OVER 10,000 CARS A DAY. NEWER ROOF AND BRAND NEW HEATING AND AC UNITS.ALSO NEW FRONT DOORS AND WINDOWS JUST INSTALLED. THIS SALE PRICE ALSO INCLUDES AN ADDITIONAL 2008 SQFT BUILDING NEXT DOOR. EASY ACCESS TO FREEWAYS, CLOSE TO BEAUMONT HOSPITAL AND TRENDY DOWNTOWN ROYAL OAK.